Samuel Entriken Hibben was the son of George Hibben and Helen Heron. Samuel was born 31 Mar 1870 and died 25 Sep 1927. He married Grace Miller Neemes on 18 Jan 1899 in Chicago, IL. Grace was born 2 Apr 1872 and died 2 Jan 1944. Both are buried in Oakwoods Cemetery in Chicago, IL. For further details, contact the Chicago Genealogical Society. 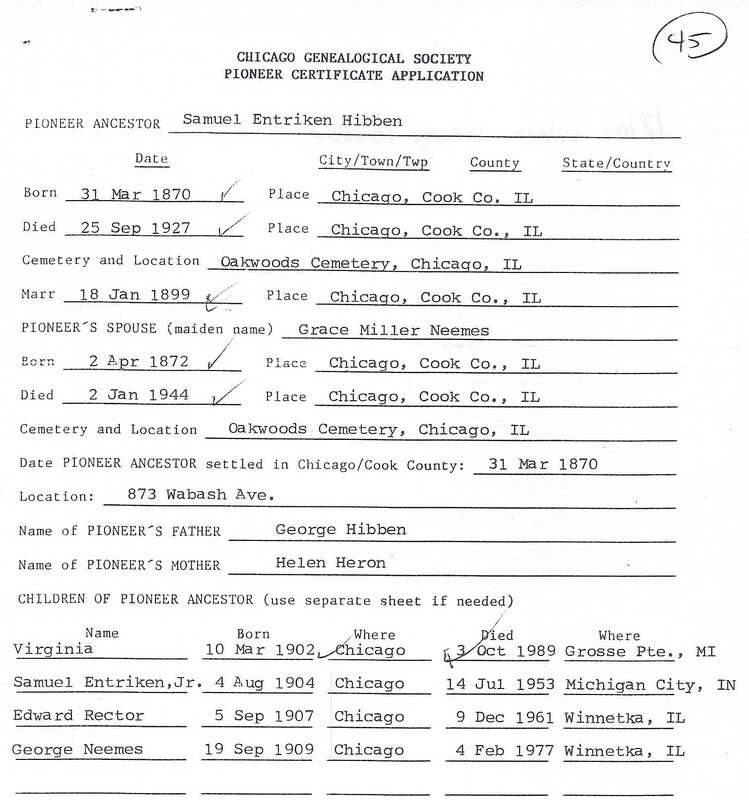 Samuel Hibben is Pioneer Ancestor number 45.